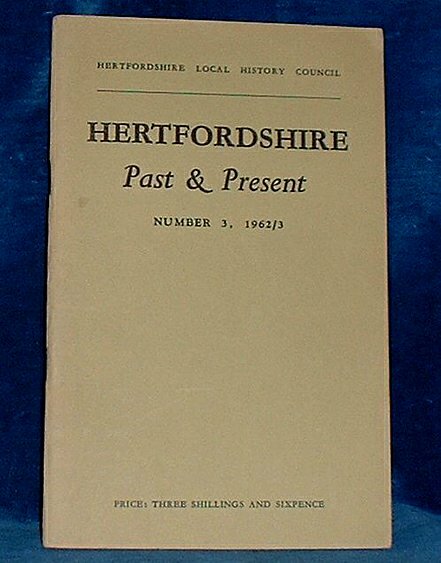 Description: Hertfordshire, Hertfordshire Local History Council 1963 Photographic illustrations (6). . Yellow sugar paper wraps (tips rubbed) 48pp nice clean tight condition. Includes L.M. Mumby "Sir Richard Fanshawe (1608-66) and his Family", M.E. Dahl "Late Elizabethan Chruch inventories", A.M. Foster "Brief History of Banking in Hitchin", J.G. Dony "Botanists in Hertfordshire" + 2 more articles.